Musical Innovation: A Grander Grand Piano Most pianos have 88 keys, but craftsman Wayne Stuart has designed a piano with an unprecedented 102. The Stuart and Sons grand has a distinctive sound that one pianist describes as "clear and crisp as white wine." 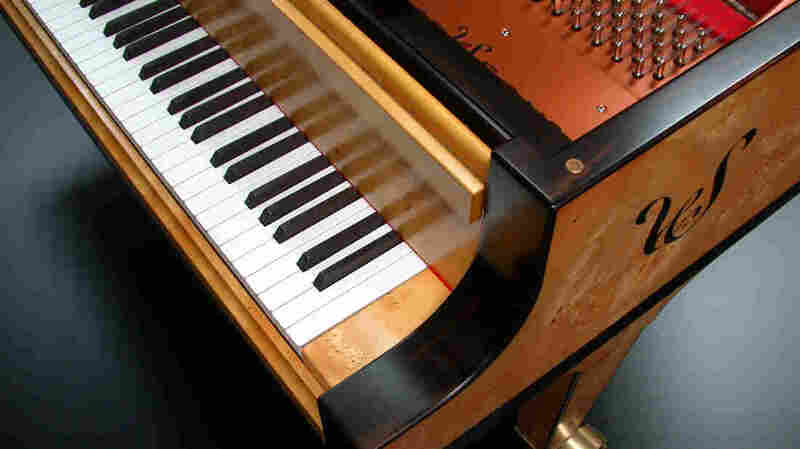 Most pianos have 88 keys. And most great piano music comes from the middle of the keyboard -- only rarely do the player’s fingers venture onto the tinkly keys at the top of the keyboard, or the booming bass notes at the bottom. But a craftsman in Newcastle, New South Wales, Australia, thinks the instrument has room to grow; and he wants to nudge the piano out of complacent middle age. He has designed a grand with an unprecedented 102 keys. The Stuart and Sons grand piano has 14 more keys than most, which means its lowest and highest notes live very much on the edge. Its designer, Wayne Stuart, says a few other grands can play as low as this 102-key model, but none can play as high. "I'd hate to go back to the 88-key piano," he says. "I couldn't stand it. It's too limited." The extra notes might lend themselves to great feats of acrobatics, but they're not exactly musical. So why have them? For color, Stuart says, and resonance. "There's a tremendous amount of energy in the low-octave notes, and you can hear the power." The power is evident even in pieces where the lowest notes aren't played. Concert pianist Gerard Willems has recorded most of Beethoven's works on a Stuart grand, and he found the extra keys made a difference. This piano is made from Tasmanian Huon pine, a type of ancient timber found in southwest Tasmania. "Beethoven would have loved the sound of the Stuart piano," he says. Beethoven only had about 70 keys on his piano and would surely have used more notes if he'd had them, he says. But don't focus too much on the keys, Willems says. This Stuart piano has other innovations, like a device that makes the strings vibrate differently, so each note sings out clear and separate. "It's almost like pulling wool apart -- you can feel and sense and smell each layer of the sound." 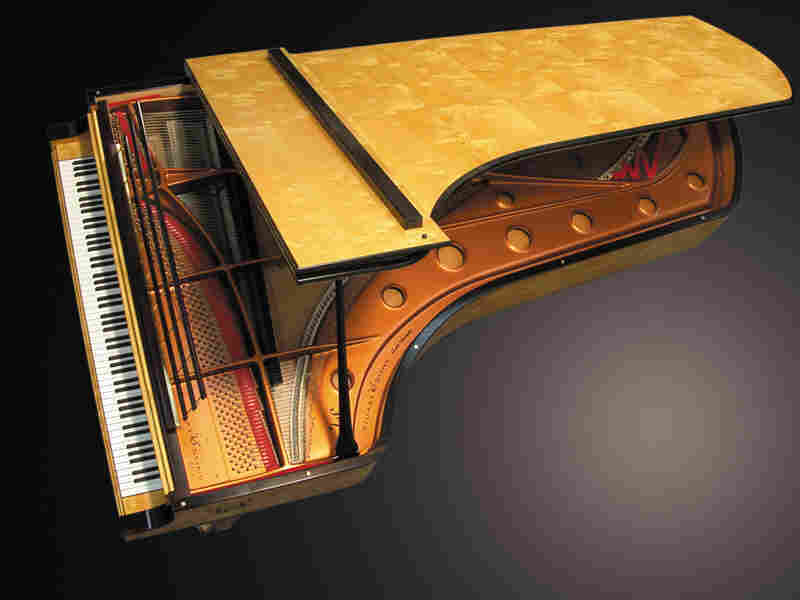 But if the Stuart piano is going to attract more attention, it has to attract living composers -- to write for it. And slowly, that’s happening. New Age jazz musician Fiona Joy Hawkins has composed pieces for the Stuart piano, and she says it's the best piano she's ever played on. A single note on the Stuart, she says, can sustain for a long time. "It just doesn't have any bend in the decay -- it just goes straight. It goes forever, so you get these incredible harmonics that last," she says. Some people say the Stuart has a distinctly Australian sound -- as clear and bright as sun on the beach. But in Australia, the instrument has its critics. Pianist and music professor Geoffrey Lancaster would not say this piano is "sunny." "I find the sounds very cold," Lancaster says. "They don't have that dimension of warmth that, say, a great Steinway or a great Bosendorfer has. It's this clarity -- this so-called clarity or crystalline quality, it's really quite icy." The Stuart grand can't compete with a giant like Steinway; only about 40 of the grands have been sold worldwide. But Lancaster says the Stuart raises an important question: When do we stop innovating? "The idea 150 years ago was that each piano should be a masterpiece in its own right, and should not necessarily resemble the piano that was made before it," Lancaster says. "That's all changed, of course. So I'm all for innovation in the modern piano. To me, the piano is a pinnacle of human achievement. So it seems right and proper that it should continue to develop." How you innovate, he says, depends, as always, on personal taste. But if you want to debut with a Stuart, you'll also need money: It costs up to $300,000, delivered.